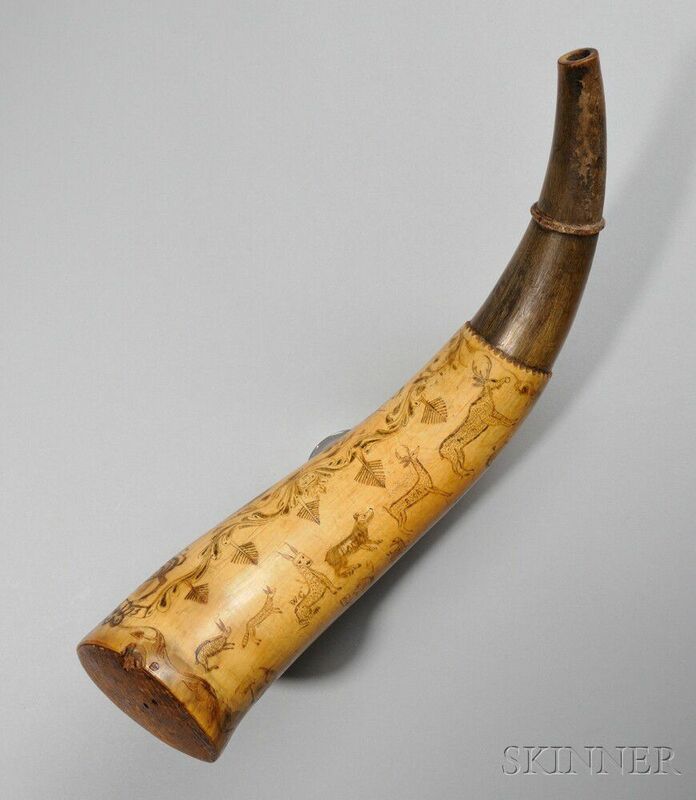 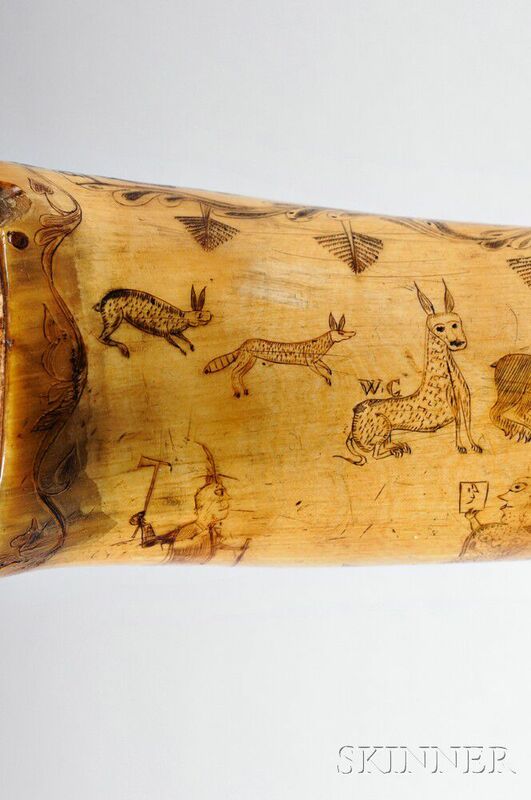 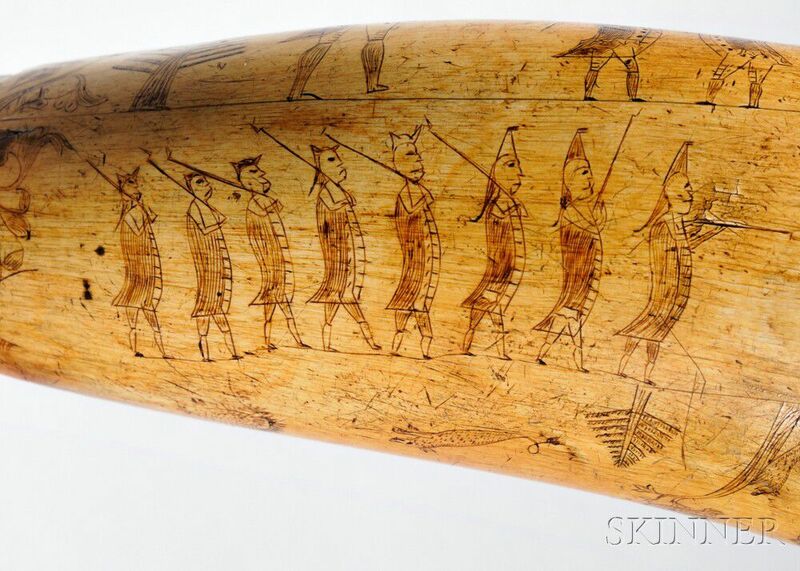 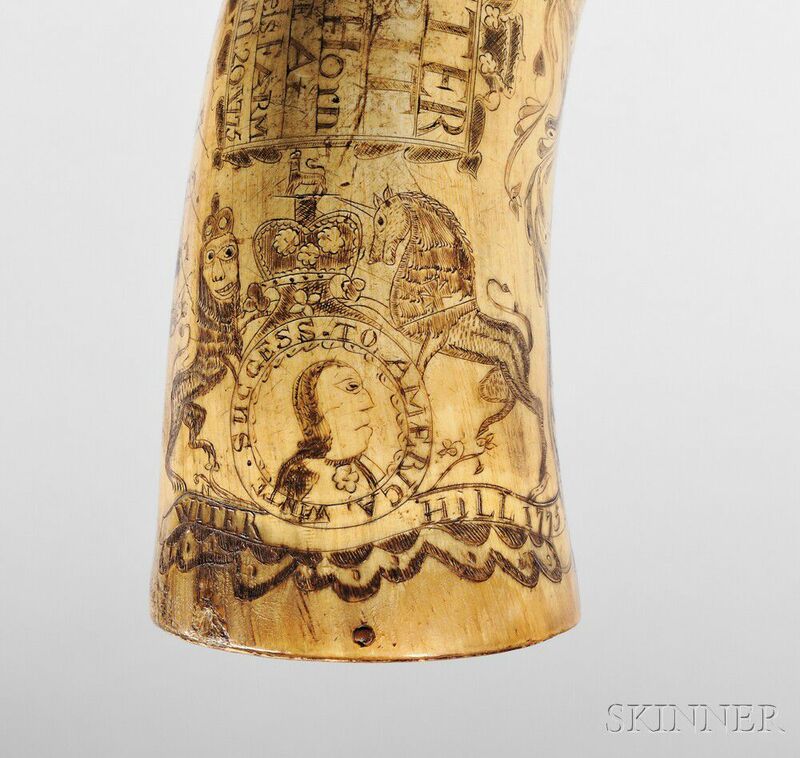 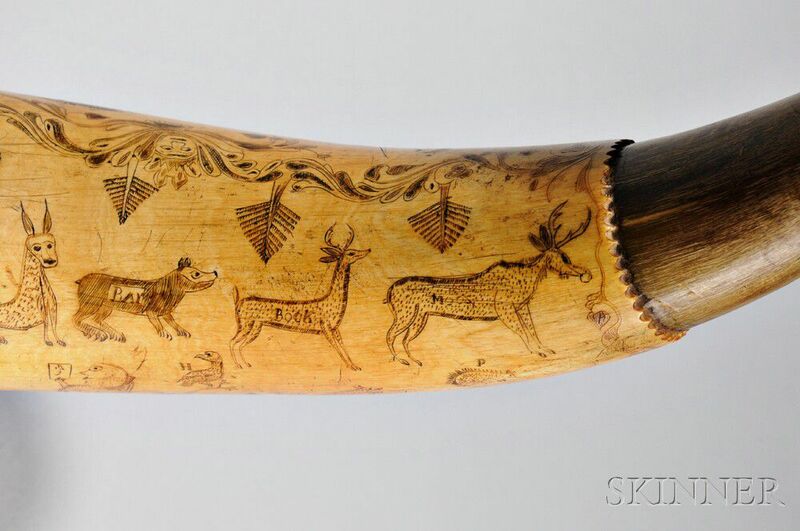 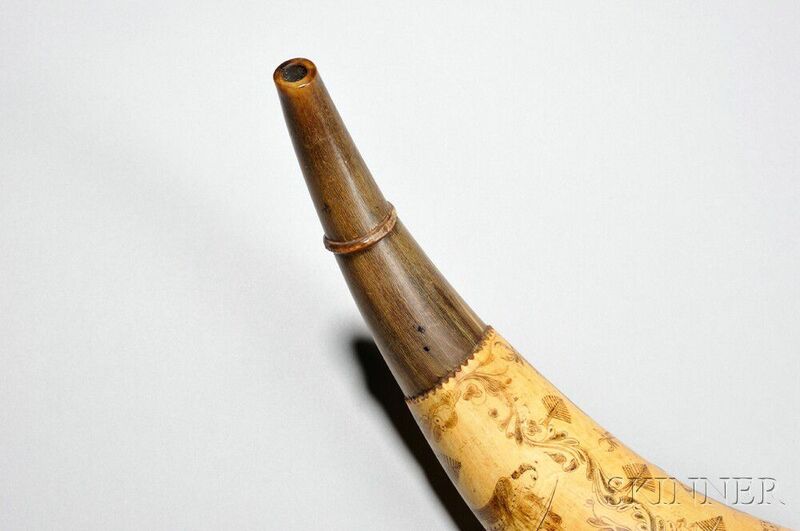 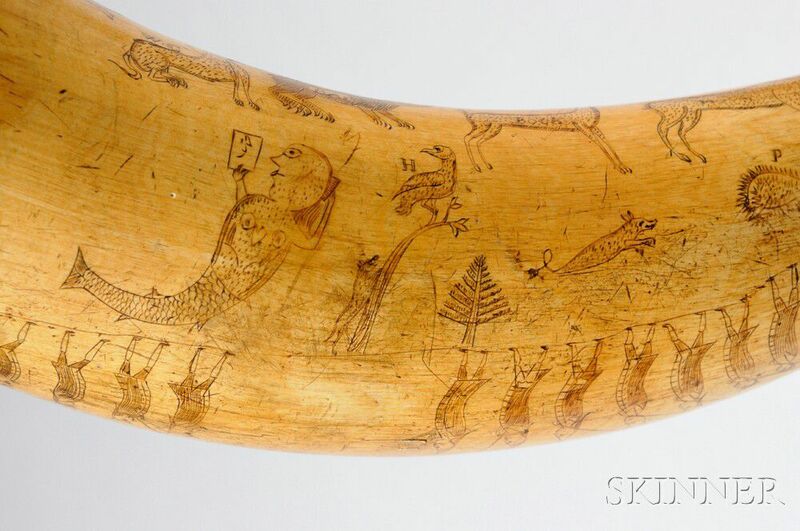 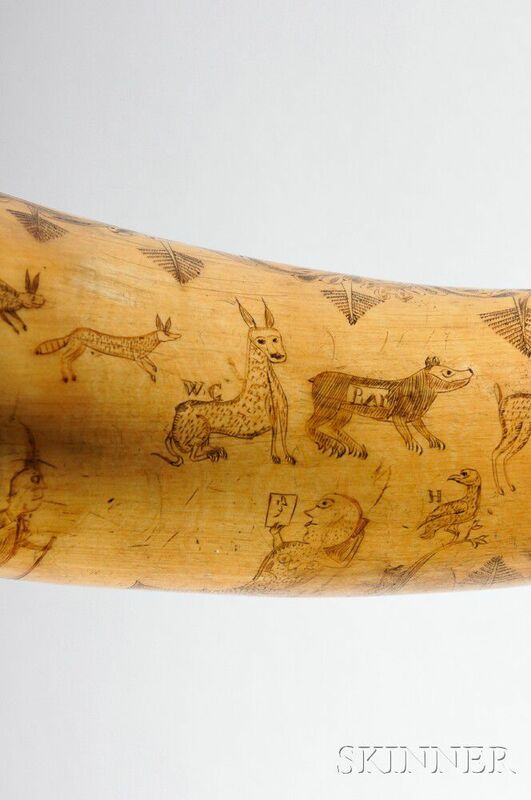 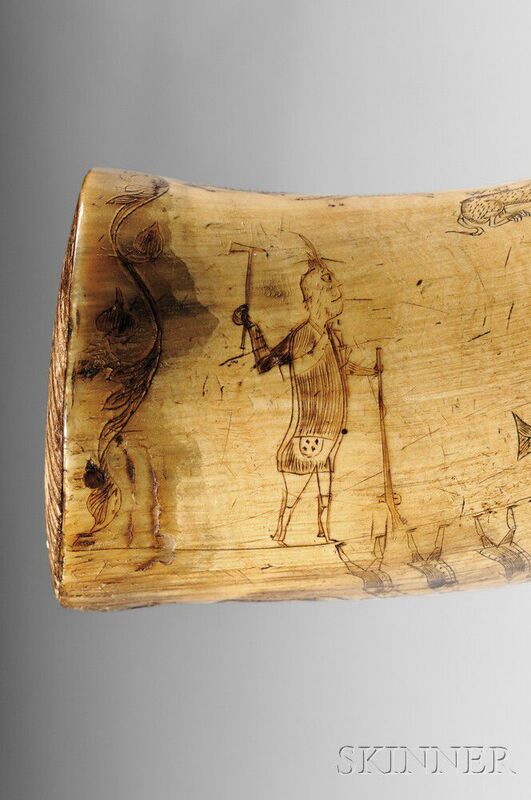 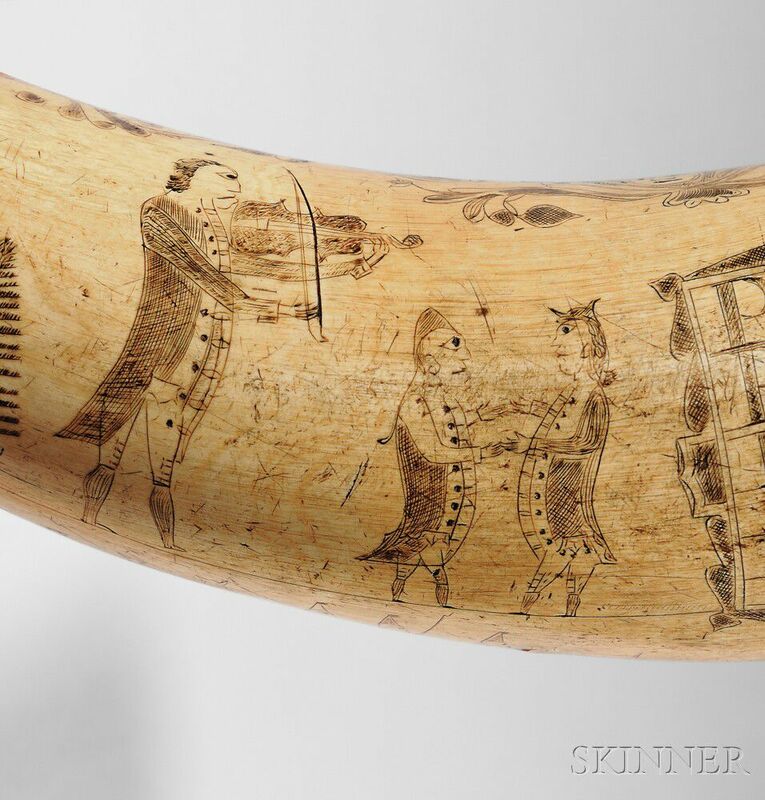 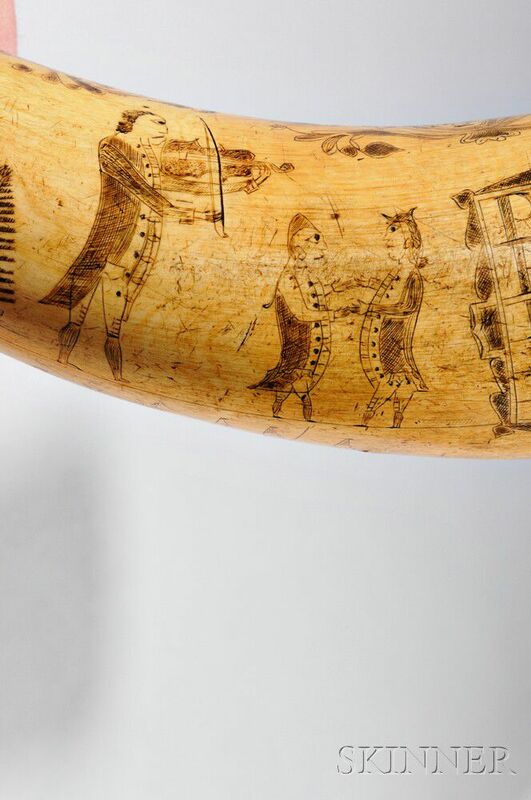 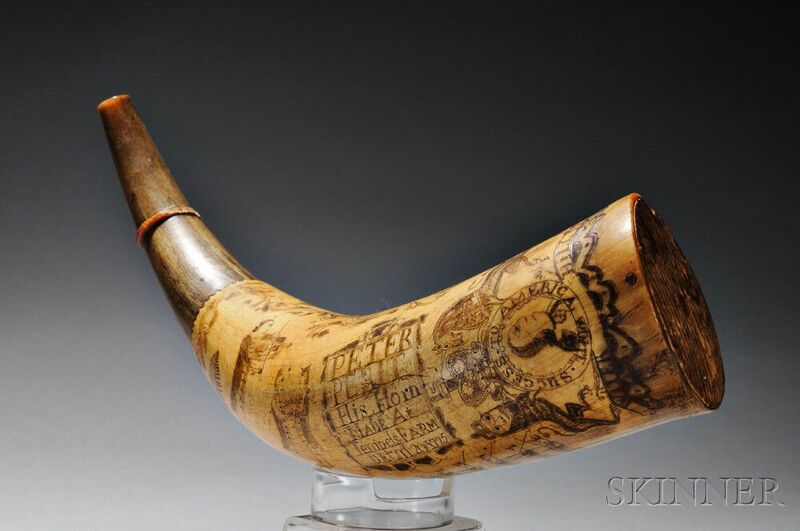 Captain Peter Perit's Carved Powder Horn, c. 1775, attributed to carver Jacob Gay, with soldiers dancing to a fiddler, British and American troops in line firing at each other, a mermaid looking at her reflection, a Native American, animals, trees, a British coat of arms with a circle below which reads SUCCESS TO AMERICA with a central figure of what looks to be George Washington, and a banner below marked WITER HILL 1775 with a small N above, in the center of the horn is carved PETER/PERIT/His Horn/MADE AT/Tempels Farm/DECm: 20: 1775, and a pine plug at the base of the horn with two holes for the iron strap staple (missing), overall lg. 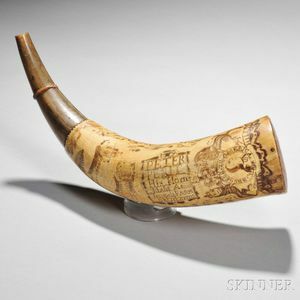 15 1/2 in. Note: Captain Peter Perit was born in Milford, Connecticut, in 1735. 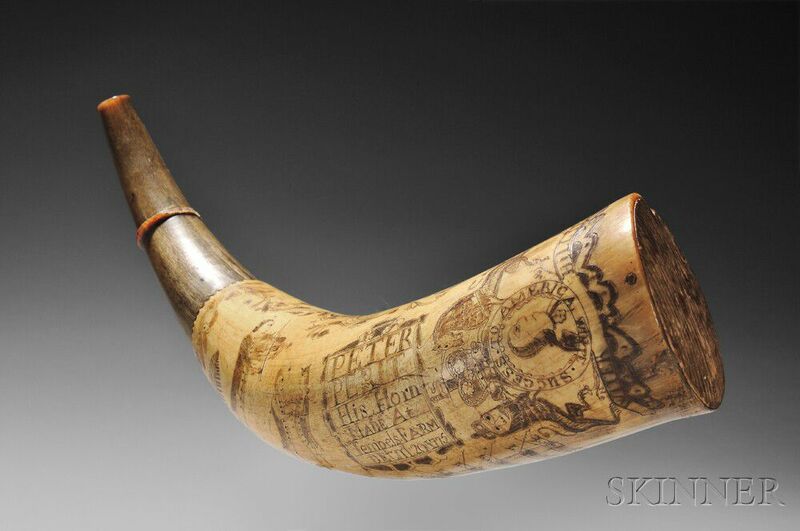 He served in the French and Indian War, and was commissioned a Captain in Colonel Charles Webb's Regiment on July 6th, 1775. 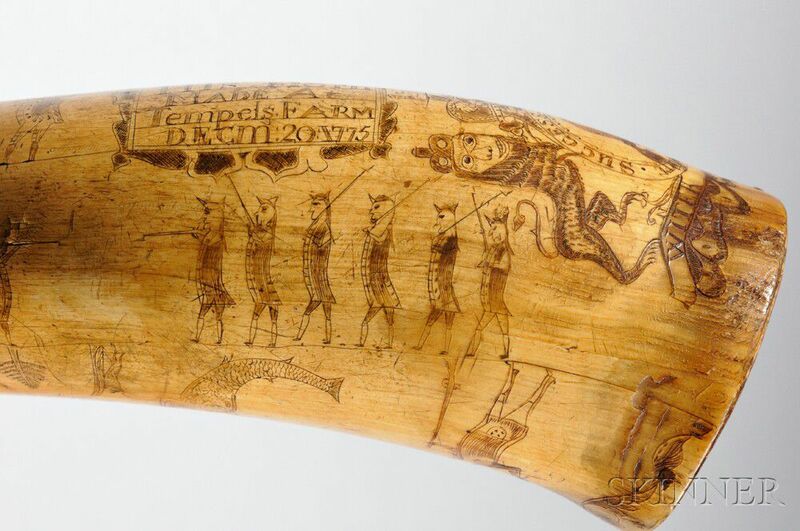 His regiment was stationed at Winter Hill in September of 1775, and the location Tempels Farm is actually Ten Hills Farm on the bank of the Mystic River, and owned by the Temple family. 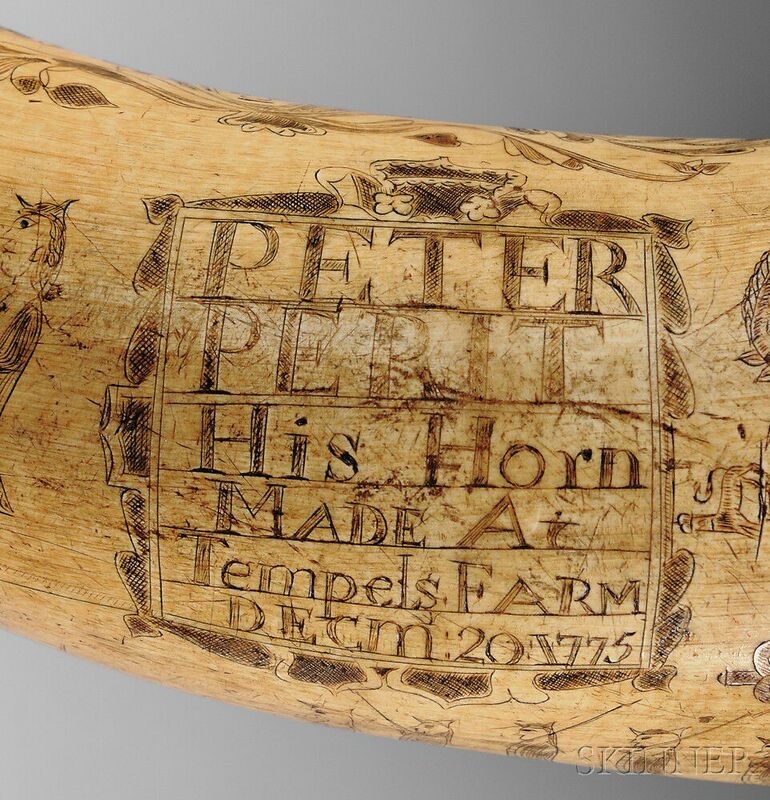 Perit later joined Henry Knox's Artillery, and was captured at the battle of Fort Washington in 1776. 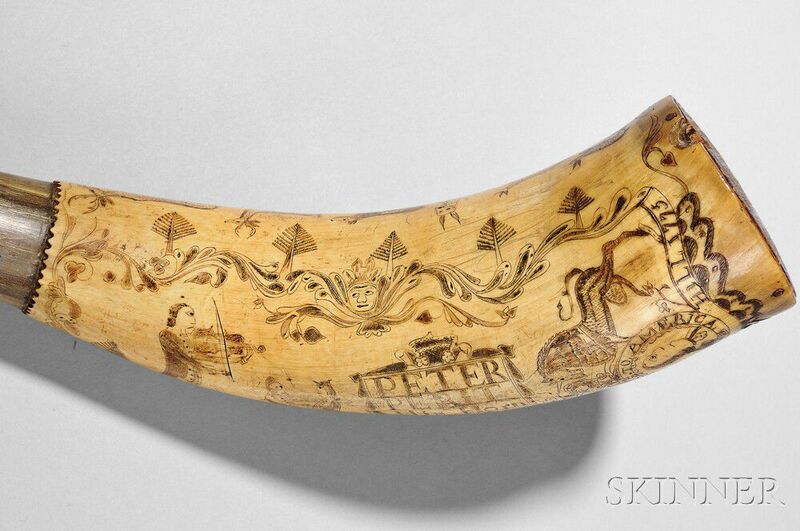 After his exchange, he could not get his position back in his regiment, and in 1781 was released from service. 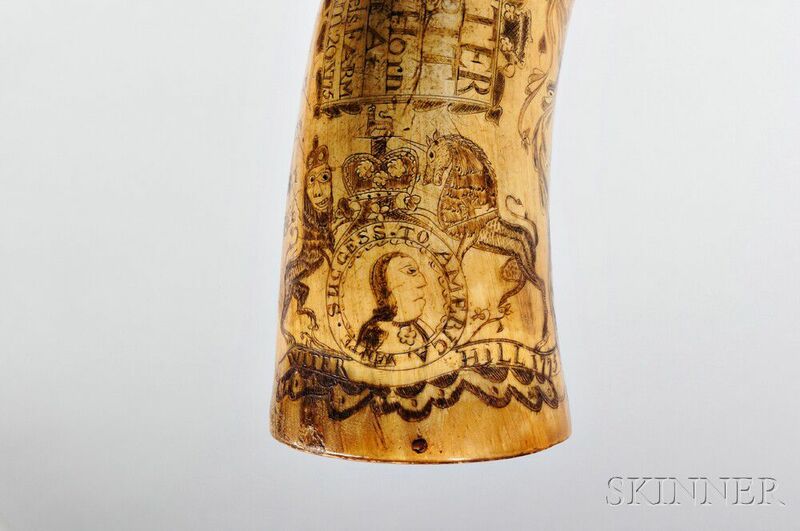 Documents relate that he was not paid for his service, and as late as 1794, James Blanchard is writing to George Washington about Perit and others to get the financial situation resolved. 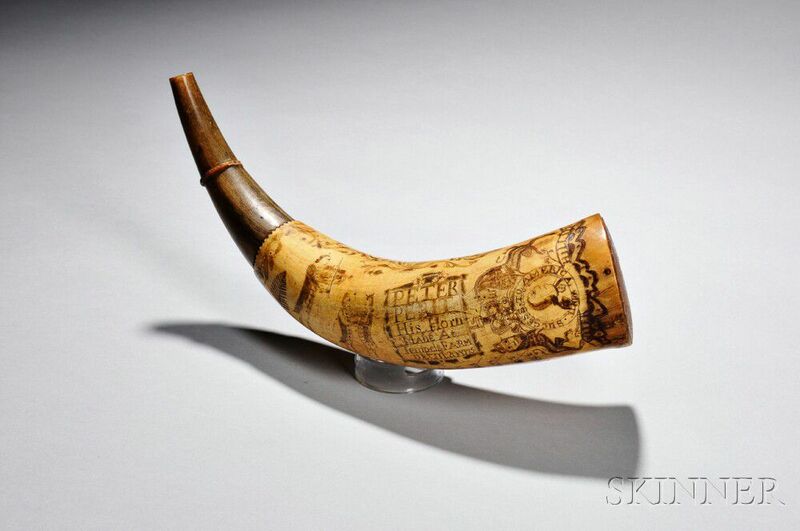 Perit died on September 29th, 1803, at age 68, and is interred in Milford, Connecticut. 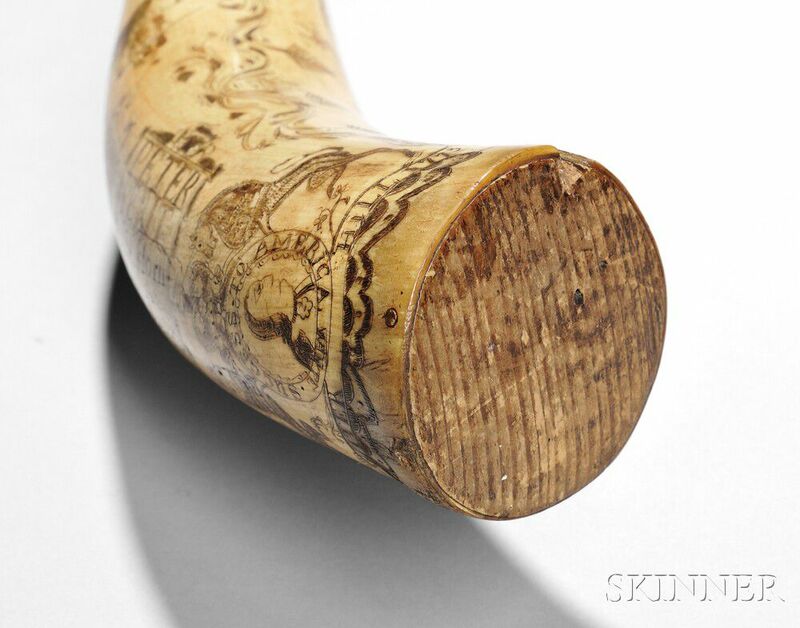 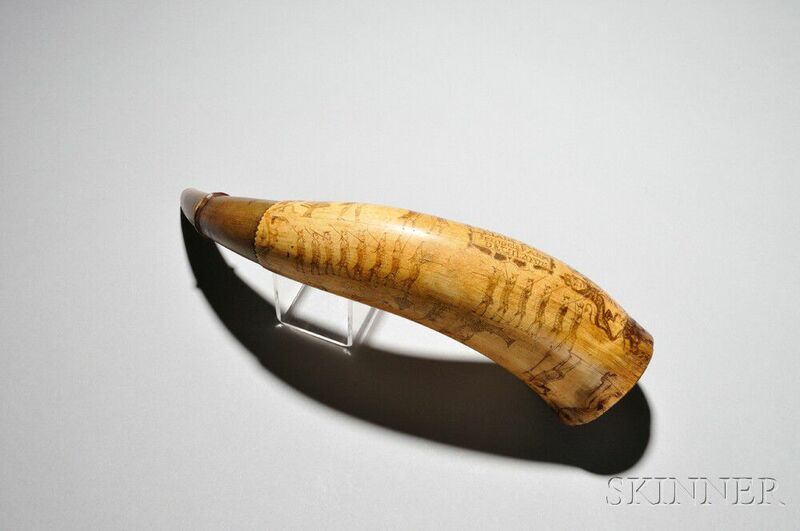 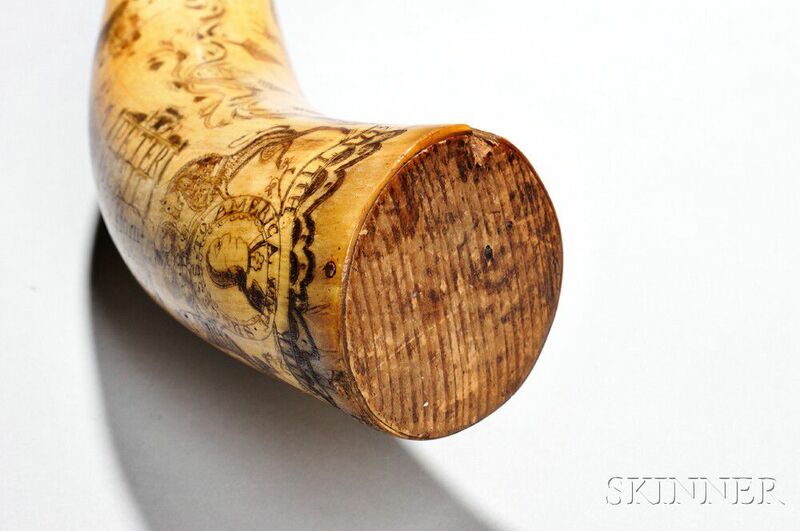 Horn is in very good condition with some light wear on his name, probably from his arm while being worn.